A classic from Kartemquin's early years, Trick Bag features gang members, Vietnam vets and young factory workers from Chicago's neighborhoods sharing their personal experiences with racism: who gets hurt and who profits. The project grew out of Peter Kuttner's association with Rising Up Angry, a radical working-class organization, many of whose members are featured in the film. The making of this multiple-award winning film began when Producer JJ Hanley’s child was diagnosed with autism in 1993. While educating herself about the disorder, JJ read a book called The Empty Fortress by world-famous child psychologist Bruno Bettelheim. Bettelheim promoted the overreaching Freudian-based theory that emotionally-cold mothers were responsible for causing their children’s autism. Despite a lack of real evidence, the medical establishment bought Bettelheim's "refrigerator mother" theory so completely from the 1950s through the early ‘70s that there was no other narrative by which to understand autism. The impact on families was devastating. Shocked by this history, JJ found her way to Kartemquin Films and to director David E. Simpson. Together, JJ and David embarked on a three-year span of research and filmmaking to document this untold story, and to help put the final nail in the coffin of mother-blame. Now We Live on Clifton follows 10 year old Pam Taylor and her 12 year old brother Scott around their multiracial West Lincoln Park neighborhood. The kids worry that they'll be forced out of the neighborhood they grew up in by the gentrification following the expansion of DePaul University. 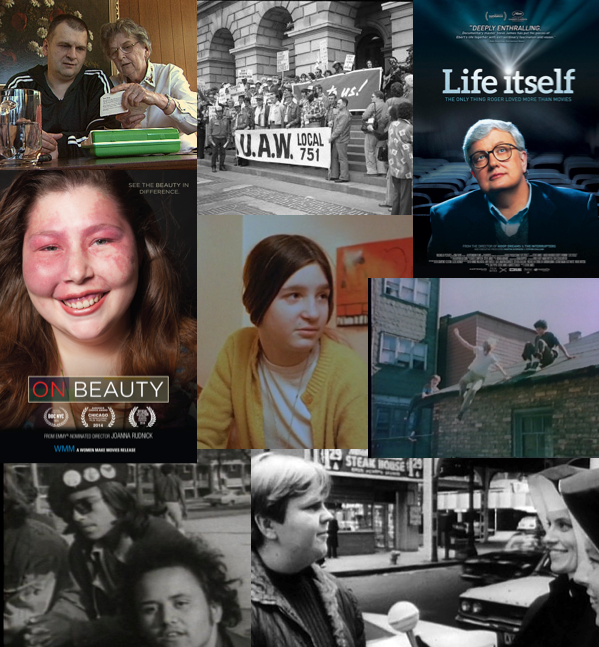 This film was created by members of the Kartemquin collective, with credits shared among Jerry Blumenthal, Alphonse Blumenthal, Susan Delson, Sharon Karp, Peter Kuttner, Gordon Quinn, and Richard Schmiechen. In 1864, George Pullman began selling his famous railroad sleeping cars which helped him build a vast industrial empire that was supposed to last forever. In 1981, however, Pullman workers found themselves in the midst of a fight not only for their jobs but the future of the American rail car industry. One hundred years of government, union and corporate policies are traced in this engaging story. The The Last Pullman Car originally aired on PBS, won First Prize at the Athens International Film Festival, an Honorable Mention at the 1984 American Film Festival, and screened at Chicago International Film Festival, Rotterdam and Big Muddy film festivals. Upon its release, Larry Kart of the Chicago Tribune wrote that "by the time the film is over it's impossible to distance oneself from the plight of these workers who are being shunted aside by their company, by their legislators, and by society as a whole." Winnie, the daughter of a steel worker and a teacher lives in Gage Park, a Chicago neighborhood that is changing from white to black. Her family struggles with racism, inflation and a threatened strike, as Winnie learns what it means to grow up white, working class, and female. Long established as a popular favorite among the Kartemquin community. In the film, two young nuns explore Chicago, from a supermarket to the Art Institute and in front of churches on Sunday, confronting people with the crucial question, “Are you happy?” The answers they get range in sincerity and depth. The humor and sadness of these honest encounters lift the film beyond its interview format to a serious and moving inquiry into the concerns of contemporary man, and also into the circumstances in which men will actually express their concerns. Inspired by a small section of the 1960 French documentary classic Chronique d'un été, in 1967 directors Gordon Quinn and Jerry Temaner provided a fresh take on cinéma vérité and their city that continues to resonate with audiences and has itself inspired a number of homages and critical appreciations. From Emmy-nominated filmmaker Joanna Rudnick (In the Family) comes a story about challenging norms and redefining beauty. On Beauty follows fashion photographer Rick Guidotti, who left the fashion world when he grew frustrated with having to work within the restrictive parameters of the industry’s standard of beauty. After a chance encounter with a young woman who had the genetic condition albinism, Rick re-focused his lens on those too often relegated to the shadows to change the way we see and experience beauty. Based on his memoir of the same name, Life Itself recounts the surprising and entertaining life of world-renowned film critic and social commentator Roger Ebert – a story that’s by turns personal, wistful, funny, painful, and transcendent. A centerpiece of the film is the story of how Ebert and Gene Siskel revolutionized film criticism and became the most recognized, criticized, and powerful movie critics in the world. Part critical biography and personal history, the film’s spine is the last four months of Roger’s life when the filmmakers had exclusive access as he heroically battled – and ultimately failed – to overcome a hip fracture that turned out to be cancer. From this unfolding story, the film will travel through Roger’s past life, his own words as our guide, detailing his precocious start in Urbana, Illinois; his migration to Chicago to start a career at the Chicago Sun Times; his unexpected promotion to movie critic; the creation of the television show that would revolutionize film criticism; and his difficult and inspiring fight with cancer. Want to see these films? Visit our online store to purchase them on DVD! Buy a year-long subscription to our VHX catalogue for $50!